It all starts at home, school or in the workplace. That’s where the waste that arrives at the Beddington ERF is created. The next time you have something that you no longer want or need, please stop and think! 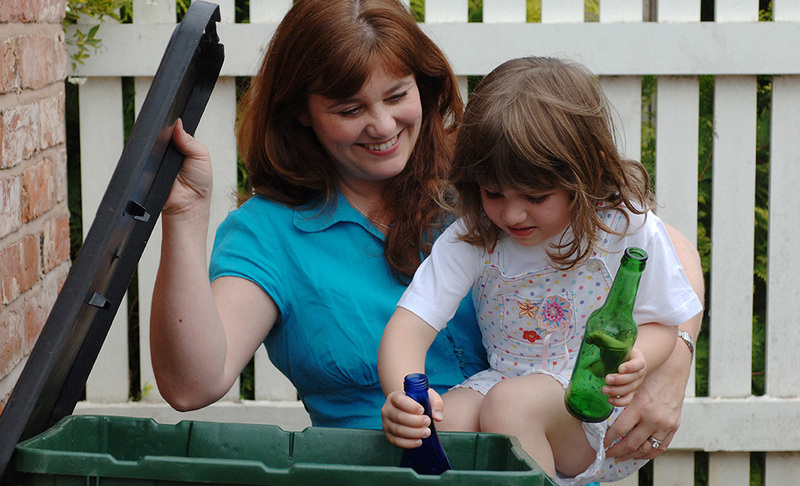 Before you throw it in the rubbish bin, could you reuse or recycle it? 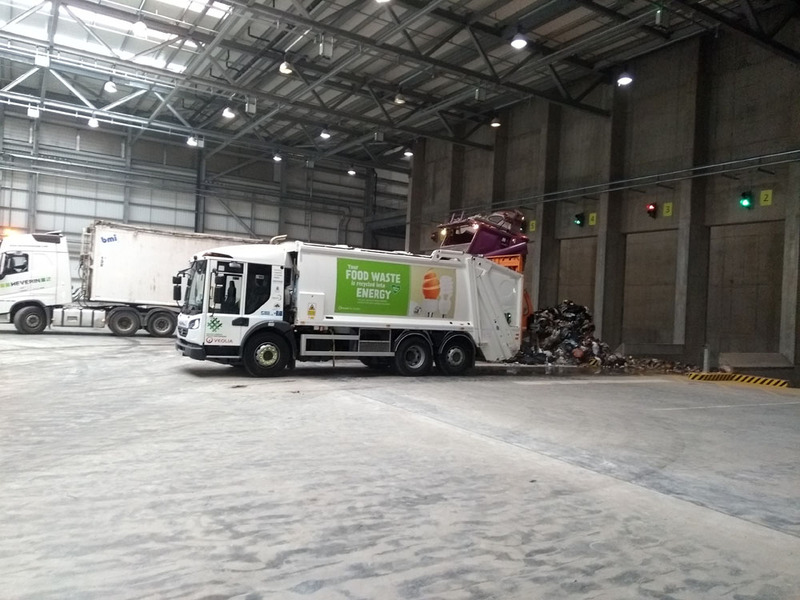 By reducing waste and putting the right stuff in the right bin, we can make sure that only non-recyclable rubbish ends up at the Beddington ERF. Your household rubbish is now treated at the Beddington ERF instead of being sent to landfill. 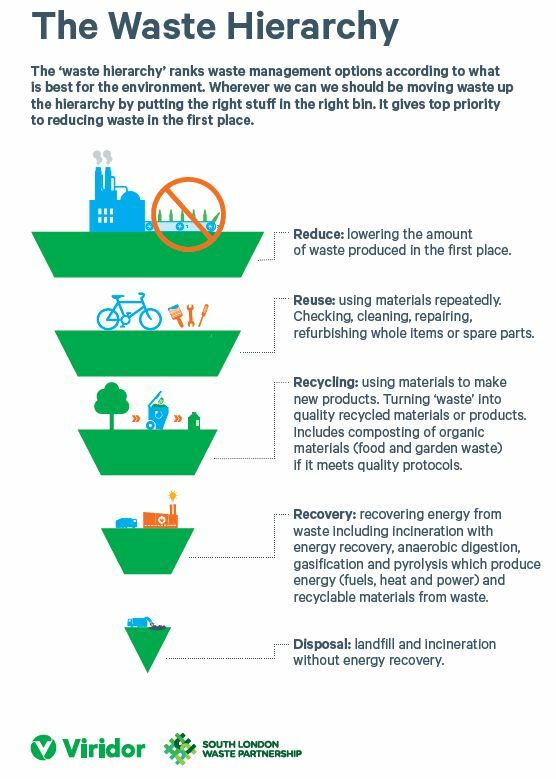 That’s an important step up the waste hierarchy (see below). But reducing waste in the first place and recycling as much as possible is even better and something we should all be working hard to achieve. 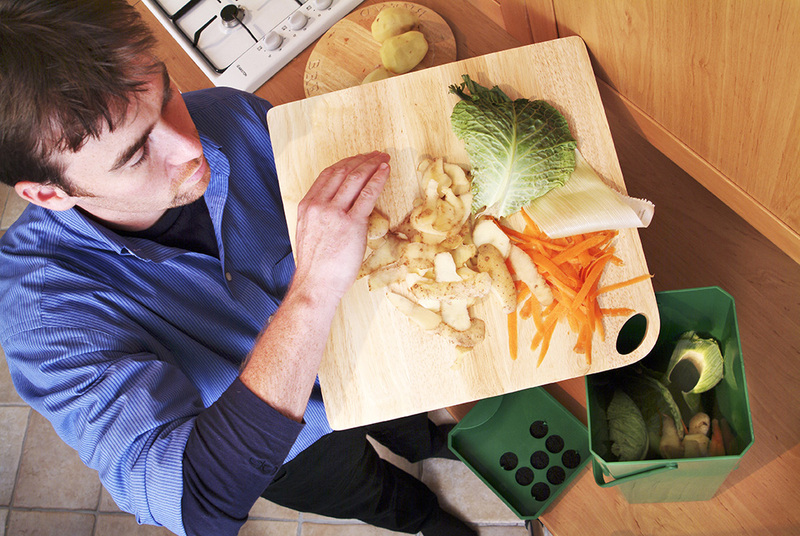 Every week, recycling and rubbish is collected from homes and businesses across Croydon, Kingston, Merton and Sutton. 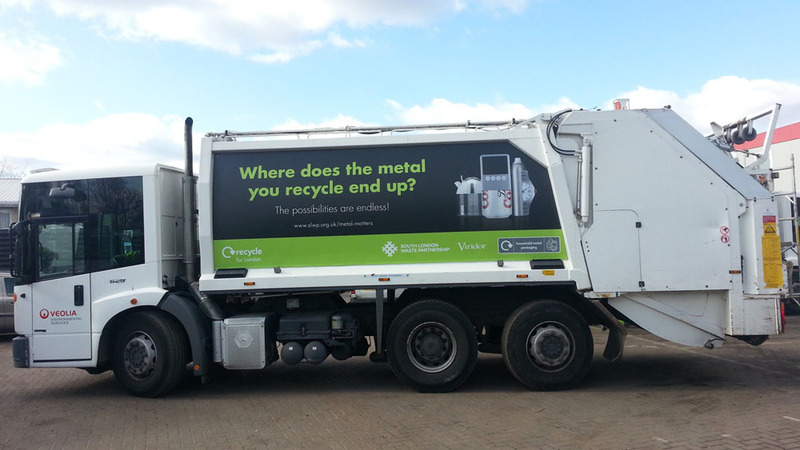 Everything that has been sorted for recycling is sent to specialist processing facilities. Food waste is turned into energy at an anaerobic digestion plant. 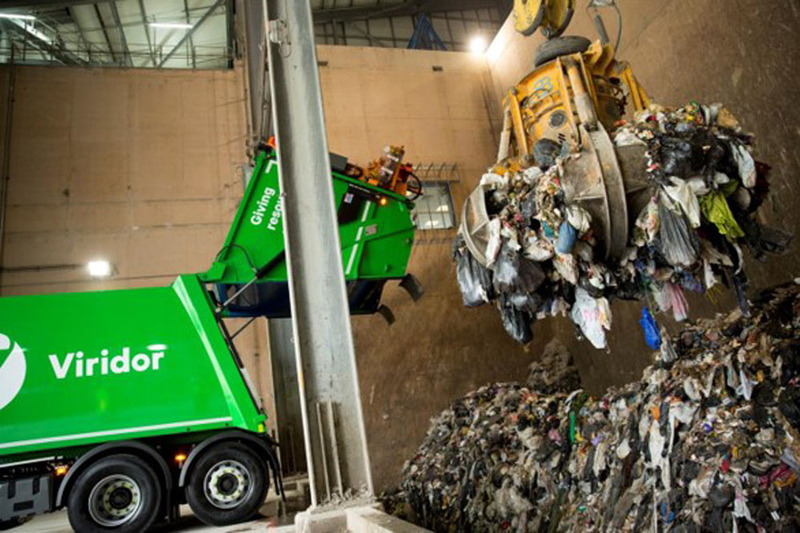 Anything that has not been sorted for recycling (in other words 'rubbish') is delivered to the Beddington ERF and transformed into energy. The South London Waste Partnership collects recycling and non-recyclable rubbish from around 372,000 households every week. Vehicles carrying the rubbish arrive at Beddington ERF. First they are weighed, they then continue to the tipping hall where they reverse up to the bunker to tip their loads. The huge waste bunker can store around a week’s worth of deliveries. 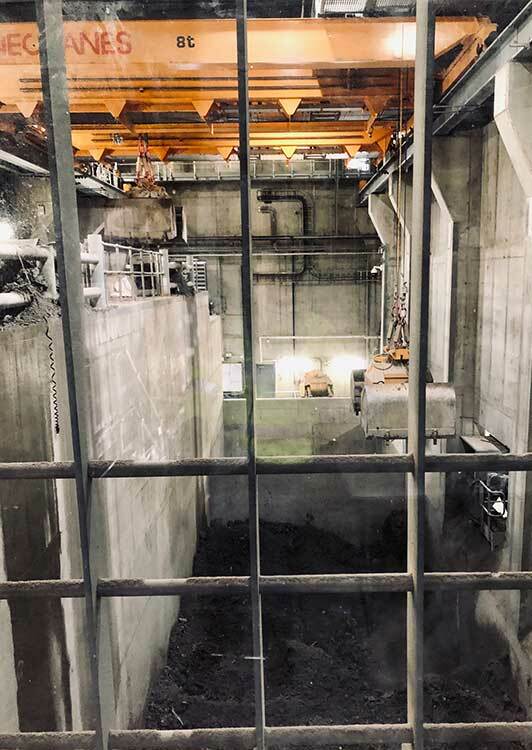 The waste is mixed and managed in the bunker by two large grab cranes. These cranes are operated by people in the Control Room, which has a large window overlooking the waste bunker. The waste is now ready to be used as a fuel to generate electricity and heat. Waste is delivered to the bunker at the Beddington ERF. The two grab cranes lift the waste into large hoppers. Hydraulic rams push the waste into one of two combustion chambers. This is where the waste is burnt at very high temperatures under controlled conditions. 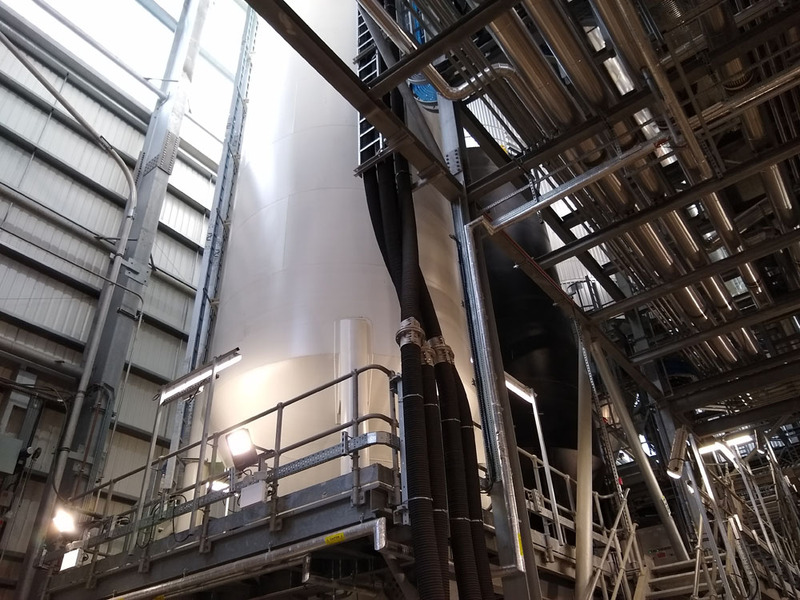 The ERF’s operations system works in compliance with the Industrial Emissions Directive, this ensures temperatures of the gases in the combustion chamber remain at a minimum of 850°C for at least two seconds – this ensures complete combustion takes place. Air which is sucked in from the tipping hall, is injected into the furnaces through holes under the furnace grates. This provides the oxygen needed for combustion (burning) to take place. It also creates a negative pressure in the tipping hall drawing air from the bunker into the process. Two cranes load the waste into hoppers. Hydraulic rams push the waste into one of two combustion chambers. The fire in the furnace, which burns for >850°C for at least 2 seconds to ensure complete combustion, produces hot combustion gases, which are fed through to the boiler. Water flows through pipes around the boiler in the opposite direction to the hot gases. A heat exchange takes place, turning the water into steam. The steam is then superheated to 400°C and 60 bar pressure. Finally, it is released to drive the turbine. 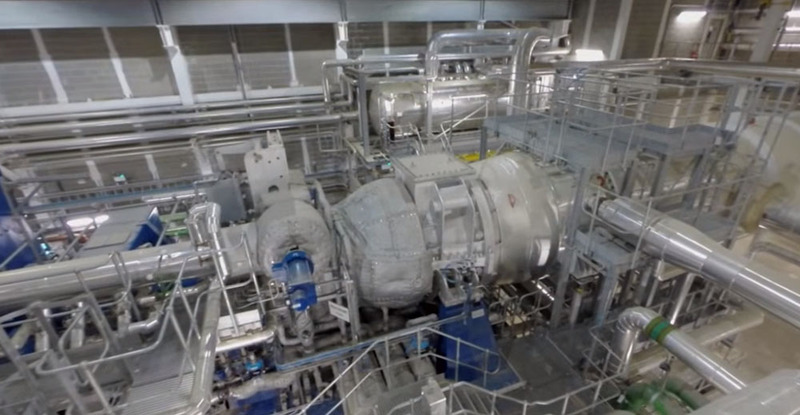 The superheated steam produced in the boiler is released to drive a turbine. The turbine is a key piece of equipment in the ERF as it converts the heat energy (steam) into mechanical (kinetic) energy. How does it do this? It’s actually very simple. The turbine has fan blades mounted on a rotor. The high-pressure steam turns the blades, and thus the rotor. This rotary motion (kinetic energy) is used to run a generator which generates electricity. It’s a very similar process to the one used by traditional coal power stations. The big difference is that waste is the fuel used at the start of the process, not coal. 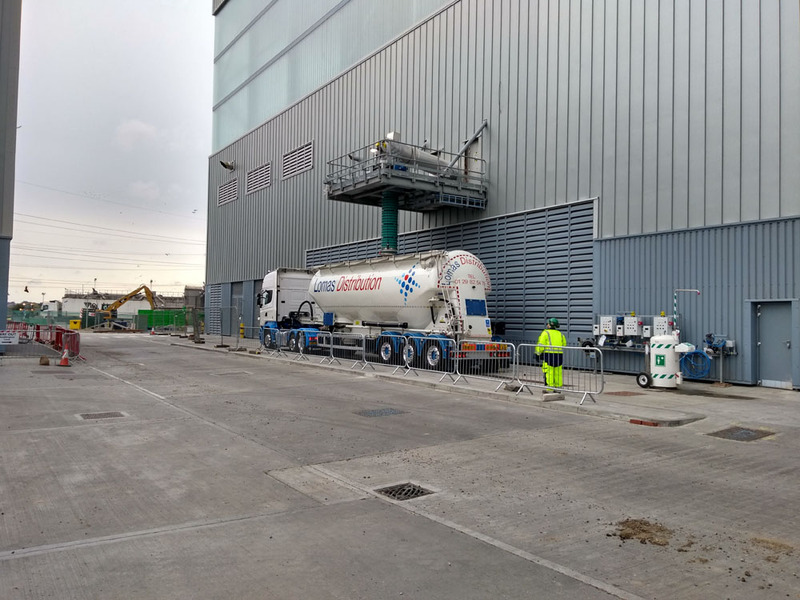 The electricity produced by the generator is exported to the National Grid to supply homes, schools, shops, businesses and industry across the country. The Beddington ERF produces around 26MW of electricity every year - enough to power the facility itself plus around 57,000 homes. Excess steam produced during the process is used to provide low-carbon heating and hot water to local homes and businesses via highly insulated pipes. For more information visit the Sutton Decentralised Energy Website. 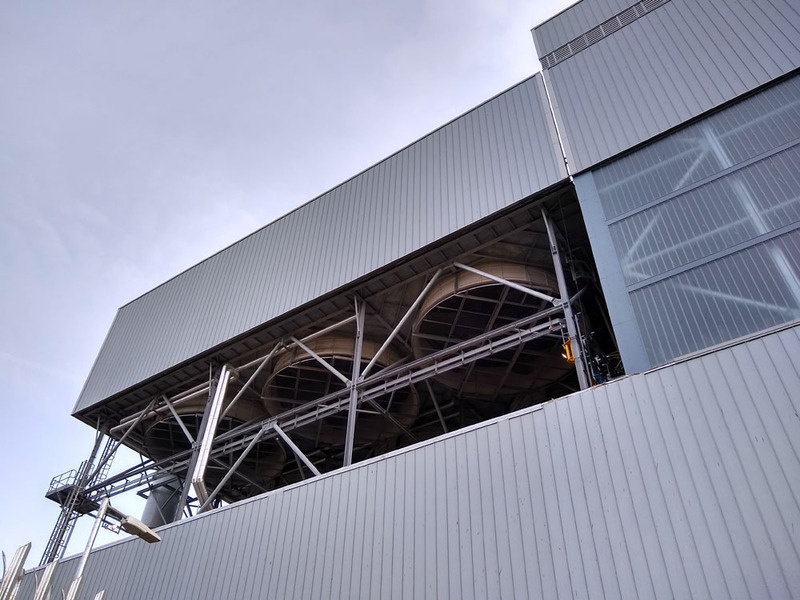 The use of the ‘waste heat’ in this way means that the Beddington ERF can call itself a ‘Combined Heat and Power’ (CHP) plant. 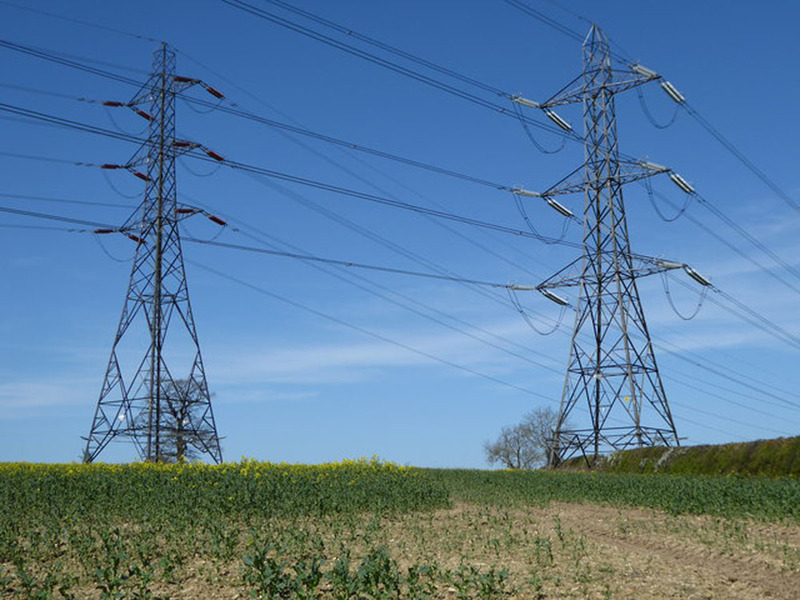 The electricity produced is exported to the National Grid. 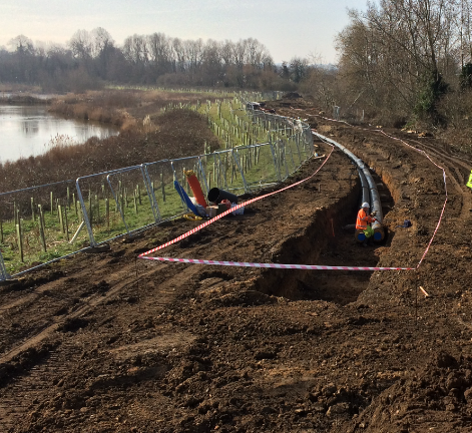 The Sutton Decentralised Energy Network pipeline being installed across the Beddington Farmlands. After going through the turbine, the steam which has been produced by heating up the water, is condensed back to water by the air cooled condenser. The water can then be re-circulated through the process again and again. Large fans draw air into the condenser to transform the steam back into water. As the waste is burnt in the furnace, gases are formed which need to be treated before they can be released into the atmosphere. 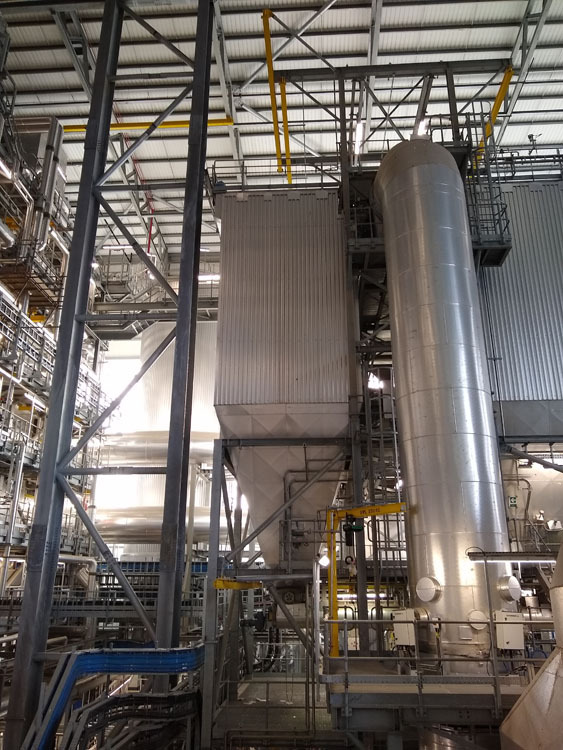 Urea, hydrated lime and activated carbon are added to remove nitrous oxides, acid gases and adsorb heavy metals, dioxins, furans and volatile organic compounds in the energy recovery process. The gases are treated and tested continuously. Screens in the control room report back live data and allow operators to ensure the right amount of cleaning is undertaken at all times. Hydrated lime and activated carbon are added to the combustion gases to clean them before they are released into the atmosphere. A fan draws the gases through bag filters which are coated with lime and activated carbon. This removes particles and creates a by-product called air pollution control residue (APCr). The bag house filters where the flue gases are filtered to remove particles and create APCR and the continuous emissions monitoring point in the foreground. Once the gases have been cleaned and filtered, they are ready to be released, along with steam, into the atmosphere via the flue stack (chimney). The Beddington ERF operates according to an Environmental Permit that is issued by the Environment Agency. The permit sets strict limits on the emissions (gases) that are released into the atmosphere by the ERF. This means the Beddington ERF must comply with all the necessary regulations protecting both health and the environment. Clean gases, steam and carbon dioxide are released from the stack. The Air Pollution Control Residue (APCr) captured by the bag filters (see step 10 - ‘Filter it’) is stored in a silo before being collected under controlled conditions by specialist vehicles. APCr is taken to a licensed facility where it is further treated and can be used in the construction industry. The Air Pollution Control Residue is stored in a silo before it is taken away to be recycled. The ash which is left after the waste has been burnt (about 23% of the total) is called Incinerator Bottom Ash (IBA). It contains anything which did not burn at around 850°C – this includes metals, concrete and glass. The IBA drops off the furnace grate onto a conveyor belt below. It is stored in a bunker and then collected and taken to a licensed facility for processing. The ash which is left after the waste has been burnt is called Incinerator Bottom Ash (IBA). 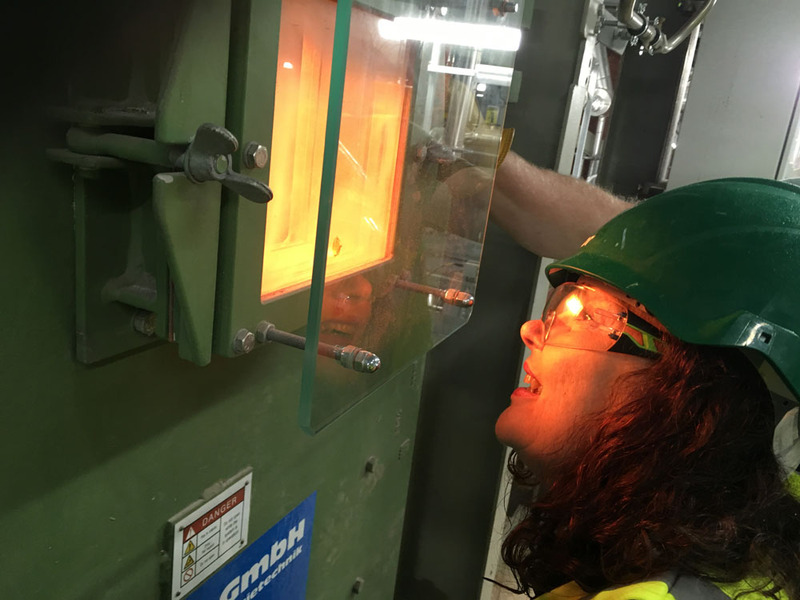 At an off-site licensed facility, magnets are used to separate out the ferrous metals from the Incinerator Bottom Ash (IBA). These metals are sent for recycling. Non-ferrous metals are also separated out and recycled. At a licensed facility giant over band magnets separate out the ferrous metals from the IBA. 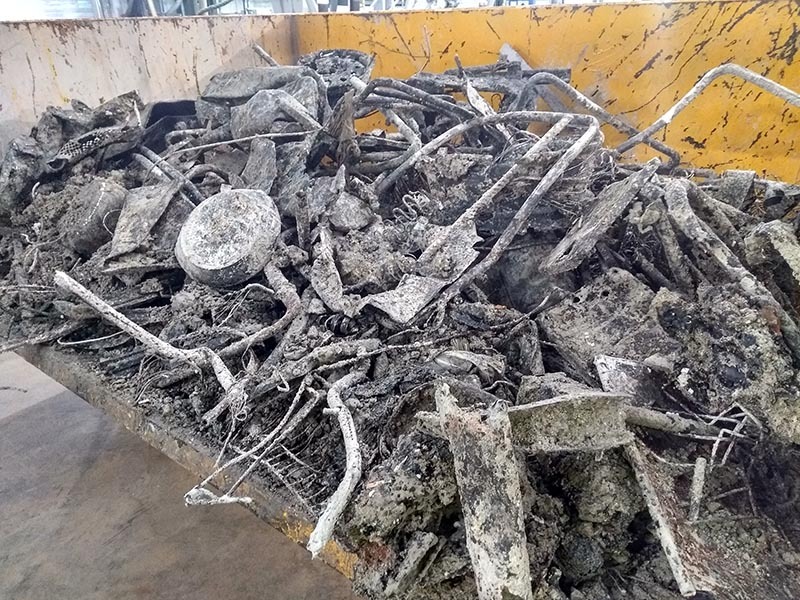 Once the metals have been separated out from the Incinerator Bottom Ash, anything that’s left is crushed, screened for quality and treated to create an aggregate for road building and other construction products. The aggregate is used in the construction industry. An essential part of turning waste into energy is combustion. When waste is combusted (burnt), it produces gases (emissions) which, if left untreated, have the potential to be harmful to the environment and human health. That is why it’s not advisable to burn rubbish in your back garden. It’s also why one third of the Beddington ERF is dedicated to cleaning these gases to ensure that what’s released into the atmosphere (via the two flue stacks, or ‘chimneys’) is safe and will not harm the local environment or the health of local people. Emissions from the Beddington ERF are monitored every 10 seconds, 7 days a week, 365 days a year. We record raw data that is used to create averages. Samples are taken from the gases in the flue stacks. The results are fed back to the ERF control room, so any potential issues are known about immediately and appropriate action can be taken. The emissions from the Beddington ERF are closely monitored by the Environment Agency, who set strict limits (based on half hourly and daily averages) for different types of emissions (see below). If any of these limits are breached, Viridor must inform the Environment Agency within 24 hours. Viridor must also submit quarterly emissions monitoring reports to the Environment Agency. In the event of issues or problems, the Environment Agency has a range of powers at its disposal, up to and including revoking a facility’s Environmental Permit and prevent it from operating. The Beddington ERF has been designed to operate at the very highest international standards and under normal operating conditions, emissions are well below the limits set by the Environment Agency. Viridor and the South London Waste Partnership recognise that the safety of the facility is a very important issue for people who live in Beddington and the surrounding areas. Dust (Particulates) - Particulate Matter is generally categorised on the basis of the size of the particles. It is made up of a wide range of materials and can arise from a variety of sources. Particulate Matter derives from both human-made and natural sources, such as sea spray, Saharan dust and volcanic eruptions. In the UK one of the biggest human-made sources of particulate matter is transport. Total Organic Carbon - Total Organic Carbon is part of a group of liquids and gases often called volatile organic compounds (VOCs). Many industrial processes emit VOCs including printing, surface coating and painting, however, households and road transport also contribute a substantial fraction. Hydrogen Chloride (HCl) - At room temperature, Hydrogen Chloride exists as either a colourless or slightly yellow gas. The main source of Hydrogen Chloride is old coal burning power stations. Carbon Monoxide (CO) - Carbon Monoxide is formed from incomplete combustion of carbon-containing fuels. The largest source is from road transport; older vehicles which do not have catalytic convertors produce significant amounts with newer cars producing very little. Sulphur Dioxide (SO2)- UK emissions are dominated by combustion of fuels containing Sulphur, such as coal and heavy oils by power stations and refineries. In some parts of the UK, notably Northern Ireland, coal for domestic use is a significant source. Oxides of Nitrogen - All combustion processes in air produce oxides of nitrogen (NOx). Nitrogen dioxide (NO2) and nitric oxide (NO) are both oxides of nitrogen and together are referred to as NOx Road transport is the main source, but this can also be formed in lightning storms and from natural breakdown processes in soil and water. What are the emissions limits? Firstly, the monitoring equipment must meet the rigorous performance requirements of, and be evaluated under, the Environment Agency’s Monitoring Certification Scheme (MCERTS). The second level of quality assurance calibrates the instruments. An independent and accredited test house carries out a full calibration every three to five years. In addition, each year an independent accredited test house undertakes an Annual Surveillance Test to ensure that the calibration remains valid. Finally, Viridor are required to regularly measure the drift of the monitoring equipment using a specified gas of known composition and take action to restore calibration if significant drift is detected. 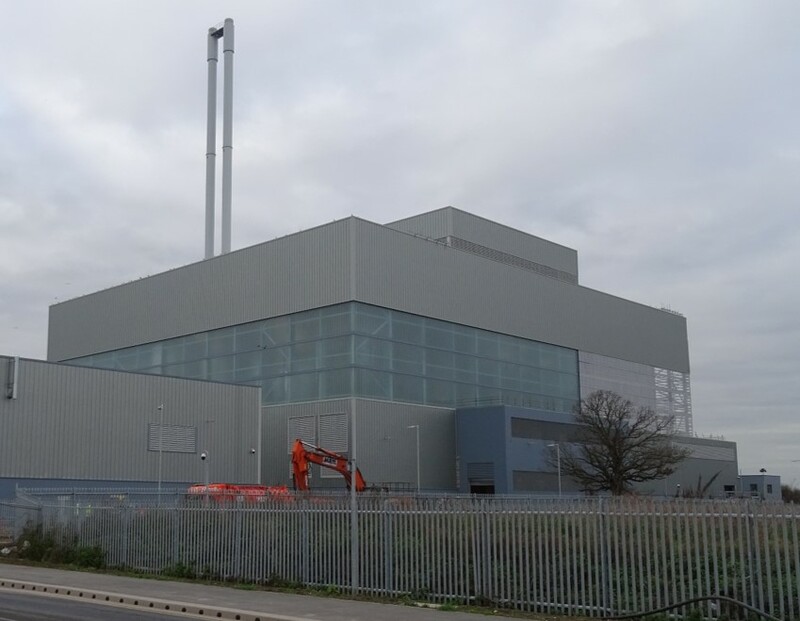 PHE has also published the following statement on the health impact of waste incineration: “Modern, well managed incinerators make only a small contribution to local concentrations of air pollutants. It is possible that such small additions could have an impact on health but such effects, if they exist, are likely to be very small and not detectable." To report an incident or raise a concern about operations at the Beddington ERF, please call our freephone customer care line on 0800 975 3029 (24 hours, 7 days a week).